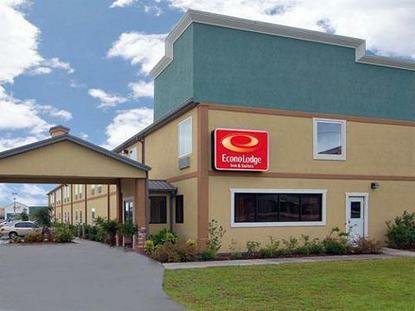 The Econo Lodge Inn & Suites is located in the heart of Alabama's Black Belt region, just three miles from the Gaineswood Mansion. This Demopolis hotel is minutes from Bluff Hall restored antebellum mansion, the Demopolis Sport Plex and Glover Mausoleum, a burial vault that is on the National Register of Historic Places. Many area businesses, shops and recreational facilities are nearby. A variety of restaurants and cocktail lounges are located in the surrounding area. The on-site restaurant Smokin' Jacks Barbecue was featured on a national cooking channel. In addition to standard amenities, all guest rooms come equipped with refrigerators, microwaves, voice mail, coffee makers, irons. No pets allowed.